There's been something strange happening around town lately. People have been showing up dead. AND IT'S CERTAINLY NOT CAUSED BY A DELICOUS BREAKFAST! With BUFFAL-OS! Filled with 33 Essential Vitamins and Minerals! Kids LOVE IT! Dads TOLERATE IT! And it keeps you strong for the BIG GAME, the BIG TEST, "And those Big Bad Cowboys Tryin to Rustle mah OATS! WHOAAAAA"
Buffal-o's! There for the BIG Day Ahead of you! "Comes with a prize inside!" 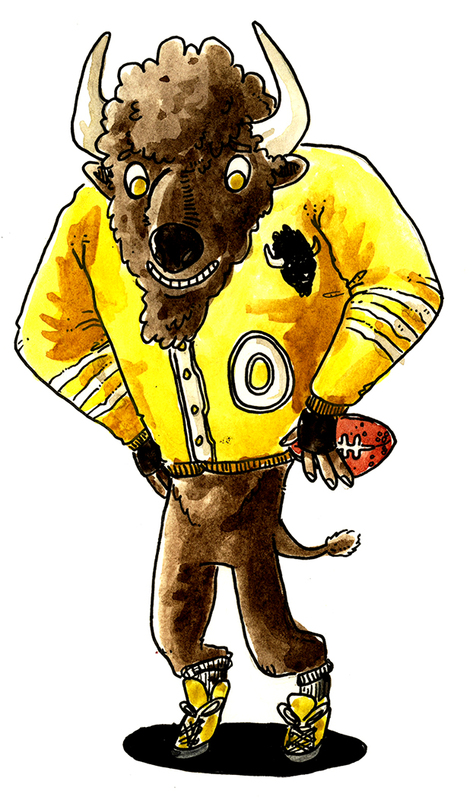 Stay BUFFALO STRONG, just like BERNARD BUFFALO!